It is time we invest in women and girls. When women and girls are supported and have the tools they need to succeed, their individual triumphs have ripple effects — affecting their families, their communities, and our state. When girls are encouraged to lead with strong, confident voices, they grow up to be powerful change agents. 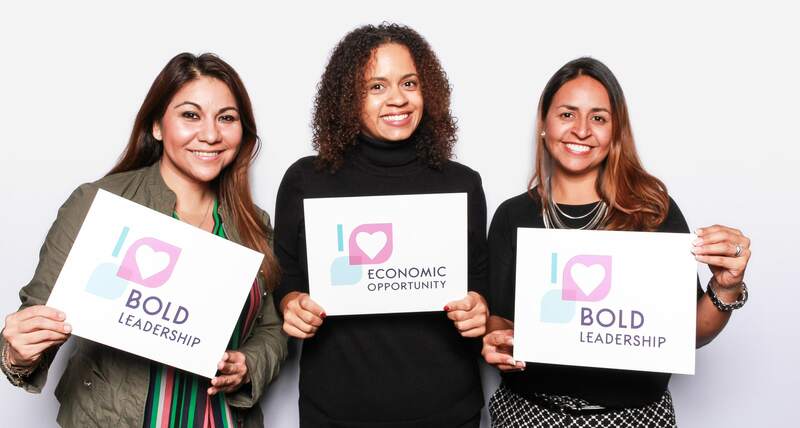 And, when women have clear pathways to leadership and economic opportunity, their successes create social and economic benefits — not just for themselves, but for all of us. While we have made great progress to foster more equitable opportunities for women and girls, there is still more work to do. Girls lack access to high-quality leadership programming that sets them up for success. Fewer than 50 girl-focused leadership programs exist in Washington State. Washington women do not have equal representation in politics. Just 37 percent of Washington State legislature seats are held by women, and only 5 percent by women of color. Women, particularly single mothers and women of color, face significant barriers to post-secondary education and family jobs. Single mothers pay half (49 percent) of their income for infant care and more than a third (37 percent) of their income for young child care. Student loan debt is higher for women students than for men regardless of degree type attained. Women in Washington experience one of the largest wage gaps in the country. Women in Washington, on average, earn 77 cents to the dollar compared to the national average of 79 cents. The gaps among women are even greater, with African American and Native American women earning just 60 cents and Latina women earning 47 cents to the dollar earned by their white male counterparts. Your support will ensure a more vibrant future for all. Imagine what would be possible if these obstacles were removed. Every girl would be on a path to realizing her own leadership dreams, and growing up to be an empowered woman. Women would have access to post-secondary education and family-wage jobs to support themselves and their families. Women would earn equal pay for equal work, generating billions of dollars for our economy and enhancing our quality of life. Increased women’s representation would make our government more transparent, inclusive, and accessible, and result in more equitable policies and systems. You can drive positive change for 3.5 million women and girls and create a stronger Washington by taking action today.